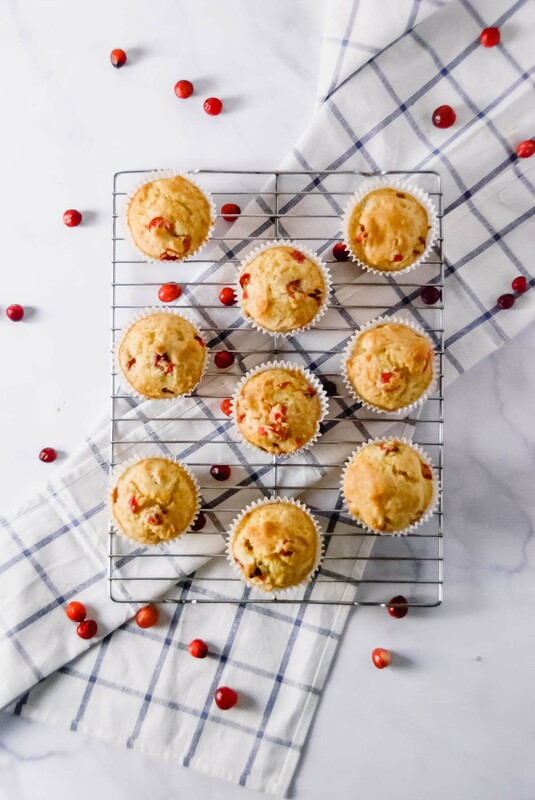 Tart, citrusy, and not too sweet… these No Fuss Cranberry Orange Muffins are the perfect seasonal make-ahead breakfast or snack that will keep you going now all the way to Christmas! 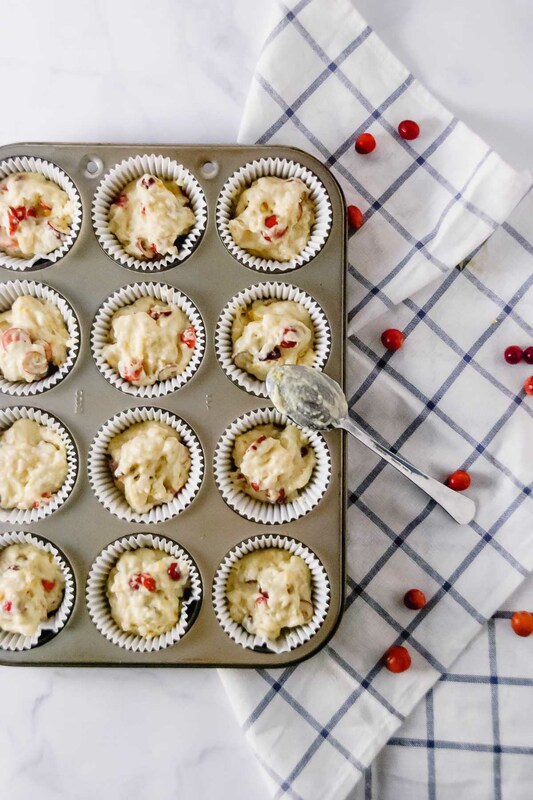 Regardless, I wish I had made these muffins for my Thanksgiving get together. 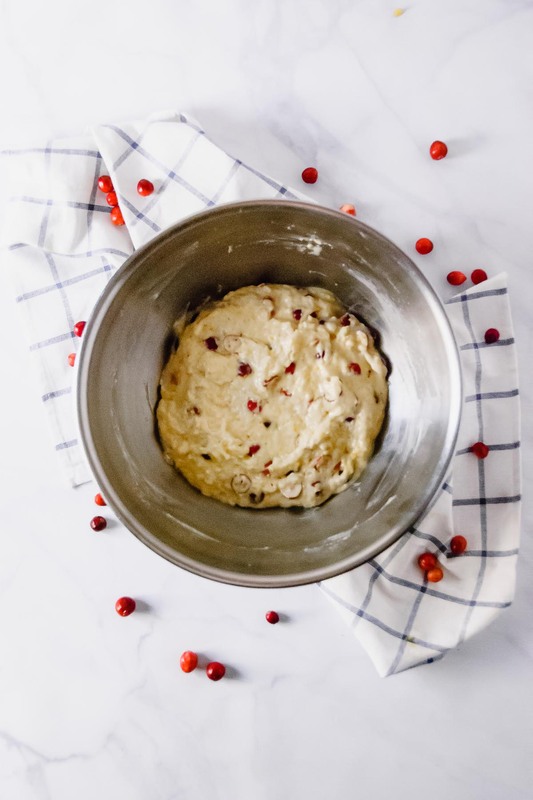 Yes, Usually I make what has become a tradition pumpkin spice biscotti, but adding baking these cranberry orange muffins wouldn’t be a big task; they are really NO. FUSS. Because of their no fussiness (or fussness? :P) they are the bomb-diggity. 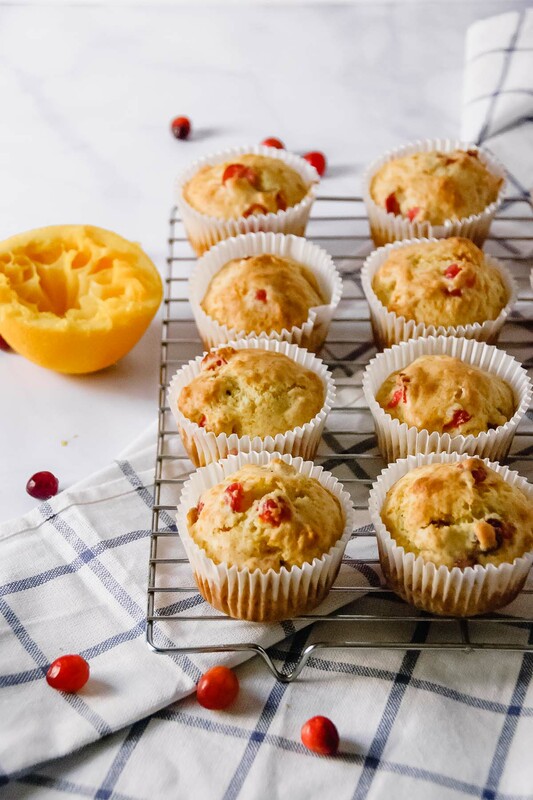 The tartness of the cranberries is like a burst of flavor through an orangy forest that comes together in a not overly sweet small package: a muffin. And because they are muffins you can eat them for breakfast!!! Am I right?! 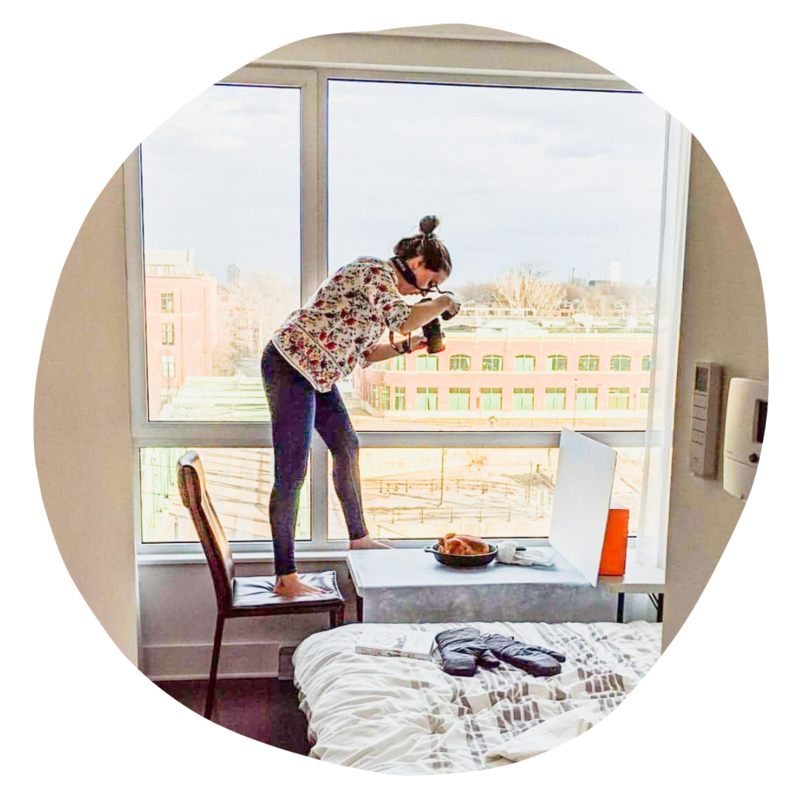 Or at least that is a rule I abide by – muffins are breakfast food and a coffee snack in the middle of the afternoon. The first time my mom made these muffins I know we said they were good but I honestly couldn’t remember eating them. 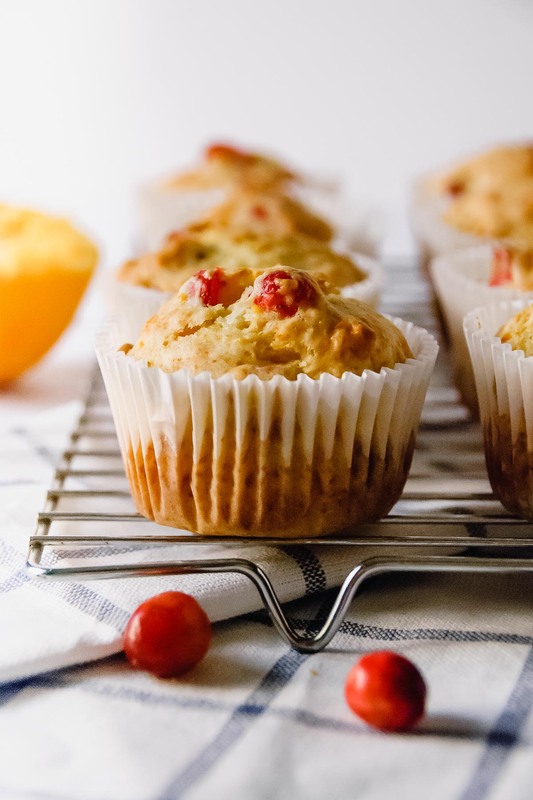 So earlier this week we set out to make these muffins to retest them, honestly, the recipe was good as is. We found the recipe in a Company’s Coming Christmas Cookbook by Jean Paré that my mom has had for some years and that we always use for some of our traditional Christmas Cookies. The book is a little wonder to have – even if it’s an older cookbook – because there are a ton of recipes that are perfect for the holidays. The recipe may be odd the first time you read it… only one egg and what I’d consider little oil. 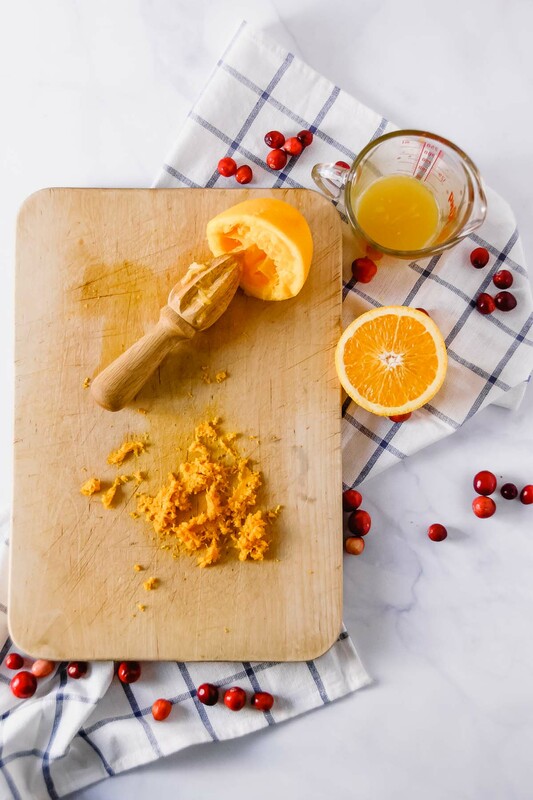 But the yummy results, which I think are largely due to the flavor combination of cranberry and orange, are exactly what you want this time of year: something bright and uplifting, especially when it’s dark when you wake up and dark when you go home from work. Side note on the darkness: photos are SO. MUCH. HARDER. Anywho! 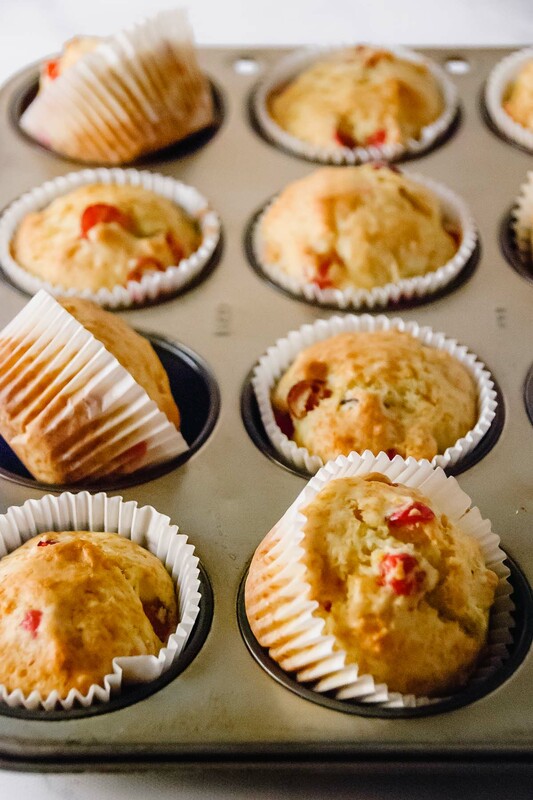 I hope you make these muffins soon! If not for Thanksgiving because it already passed, for Christmas and the weeks leading up to it! 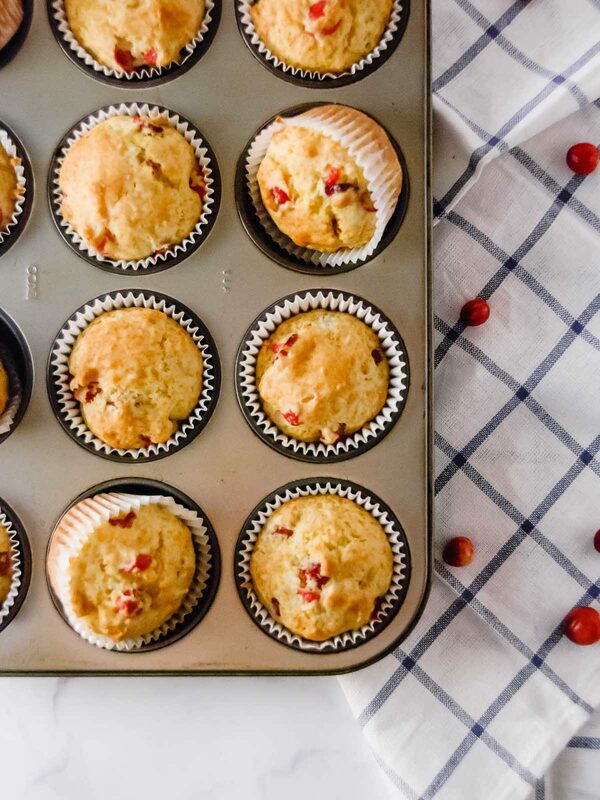 Having muffins in the house is always a good idea. 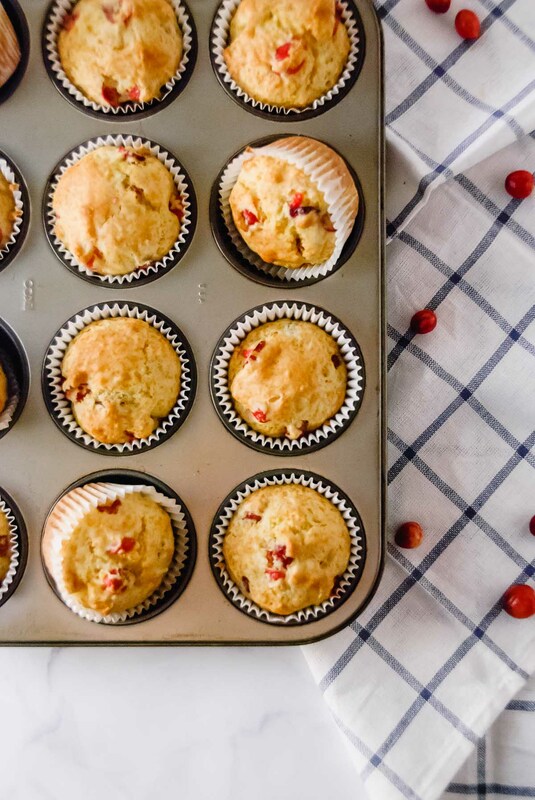 Preheat oven to 400F and line a muffin tin with liners or cooking spray. In a medium-sized bowl mix together the flour, baking powder, baking soda and salt, set aside. 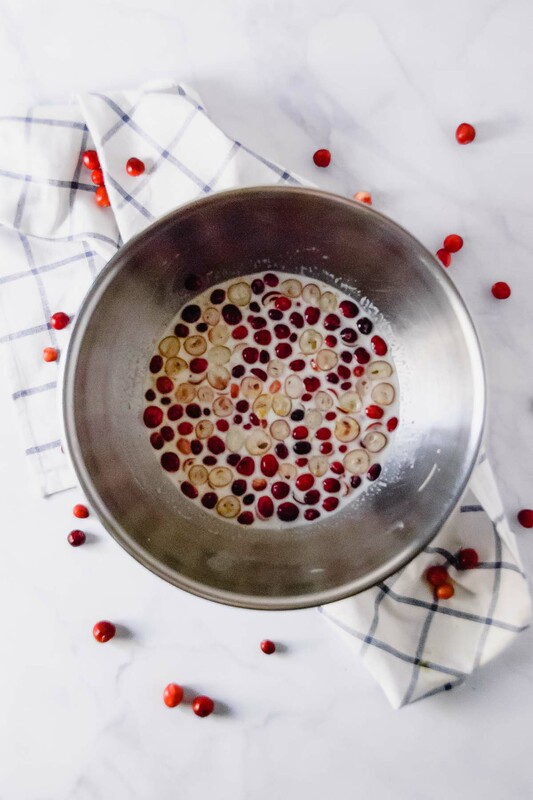 In a large bowl of a stand mixer or with a handheld mixer, beat the egg, oil and sugar together. Once combined mix in the cranberries, orange zest and orange juice (with water if needed). Add dry ingredients to the liquid and mix until just combined. Fill prepared muffin in with batter about 3/4 full, bake for 15 to 20 minutes. They should become a light golden color. Once cooked, let stand in the muffin tin for 5 minutes before transferring to a wire rack to cool completely. Store in an airtight container for about 5 days. Adapted from Company's Coming for Christmas, by Jean Paré.